Whatever happened to Emily and Eliza Partridge? Note: The following was originally printed in the September/October 2017 edition of Mormonism Researched. To request a free subscription, please visit here. In early Mormonism, you might say some of the women who became plural wives were kept as a set. Several Mormon leaders, including Joseph Smith and Brigham Young, married sisters. When Edward Partridge, Mormonism’s first bishop, died in 1840, his widow, Lydia, continued to care for their small children. Their older daughters Eliza Maria and Emily Dow moved into the home of Joseph and Emma Smith. 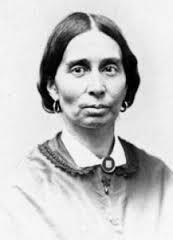 Joseph Smith had plans to make the sisters his plural wives, so he used Elizabeth Durfee, a woman who was already convinced that plural marriage was a doctrine from God, to introduce the teaching to the sisters. On May 4, 1843, 19-year-old Emily was married to the 37-year-old Smith without the knowledge or approval of Emma. Four days later, her 23-year-old sister also became a plural wife of the Mormon prophet, again without the knowledge of Emma. Emma Smith was not an easy sell on the subject of polygamy. Authors Linda King Newell and Valeen Tippets Avery note in their book Mormon Enigma: Emma Hale Smith that “there is no evidence that she ever opposed him on any doctrine but plural marriage” (142). Her reluctance, however, didn’t prevent Smith from trying to change her mind. In May 1843, Emma capitulated on the condition that she was allowed to choose the wives for her husband. Little does she know that by this time, her husband had taken sixteen other women as wives (Enigma, 143). Ironically, Emma chose Emily and Eliza as well as two other sisters, Sarah and Maria Lawrence. The latter two also lived in the Smith home — Joseph Smith being their guardian. Rather than upset his wife by telling her he had already married the Partridge sisters, Joseph had a mock ceremony performed in the Smith home. On May 23, 1843, Emily and Eliza were “married” to Joseph for a second time. Emma was not successful in keeping Joseph from meeting with his wives. Emily Partridge would one day testify under oath that she ‘roomed’ with Joseph on the night of her second marriage to him while Emma, she believed, was in the house at the time. She also testified that she had ‘slept with him’ between the first marriage and the second ceremony (Enigma, 144). Joseph Smith was killed by a mob while incarcerated at the Carthage Jail on June 27, 1844. Over time, if they didn’t already have a living husband (several did), most of his widows remarried, many of them becoming the wives of prominent members in the LDS Church. In her autobiography mentioned above, Emily wrote, “After the prophet’s death, I again entered into plural marriage. 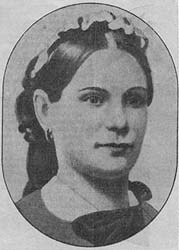 I was married to President Brigham Young according to the law of proxy, and received my blessings in the Temple at Nauvoo.” Emily would bear seven children with Young, who died in 1877. Emily would pass away on December 9, 1899 and is buried in the Salt Lake cemetery near Brigham Young’s son, Brigham Young, Jr.
After Smith’s death, Eliza also married a prominent member of the Mormon Church, Amasa Mason Lyman. Lyman was called to replace Mormon Apostle Orson Pratt who was excommunicated in 1842. The irony is Pratt was instrumental in Lyman’s conversion to Mormonism ten years earlier. When Pratt was reinstated in 1843, Joseph Smith made Lyman one of his counselors. Following the death of Joseph Smith, Lyman was again called to serve as an apostle. He married Eliza in 1845. When Eliza married Amasa Lyman, he already had two wives, one of whom was Eliza’s younger sister, Caroline. He married his eighth wife on February 8, 1853 — Eliza’s younger sister, Lydia. As in the case of many plural wives, separation from their husbands was a major factor. Accompanied by wife number four, Dionetia, in 1851, Lyman and fellow apostle Charles C. Rich were called to establish a settlement in Southern California that came to be known as San Bernardino. Lyman became the city’s first mayor in 1854. It was a sermon he gave while on a mission to Scotland that set in motion Amasa’s eventual excommunication. In an essay titled “From Apostles to Apostate: The Personal struggle of Amasa Mason Lyman,” Loretta L. Hefner notes that while speaking in Dundee, Scotland on March 16, 1862, Lyman “asserted that man, coming from a perfect spirit father, was innately good and could redeem himself by correcting his own mortal errors. There was thus simply no need for a savior. The historical figure, Jesus, whom most worshipped as the Christ, was in reality only a moral reformer, teacher, and exemplar of great love” (Dialogue: A Journal of Mormon Thought, Spring 1983, 93). When confronted with his remarks years later, Lyman wrote a confession, stating that he had “sinned a grievous sin in teaching a doctrine which makes the death of Jesus Christ of no force” (Hefner, 95). However, his remorse seems to have been less than sincere for it was only a matter of weeks before he was again stating publicly that Christ’s atonement was irrelevant. In April 1867, Brigham Young and other prominent leaders made a trip to personally confront Lyman, and as a result he was officially “cut off from the Quorum of the Twelve Apostles” on May 6, 1867. However, it was Lyman’s conversion to the teachings of a Mormon dissident named William Godbe that led to his May 12, 1870 excommunication from the LDS Church. Hefner notes, “Eliza Maria Partridge, Caroline Ely Partridge, and Lydia Partridge…had long complained about Amasa’s lack of support for them and their children and felt ‘he did not enjoy the proper spirit an apostle should.’ They divorced him after his disfellowshipment” (101). Eliza died on March 2, 1886, at the age of 66, spending the rest of her days in the small Utah desert town of Oak City where her son Platte served as a bishop. She is buried near her sister Caroline in the Oak City cemetery. For more on plural marriage, click here.